CenterEdge Software Blog | Did You Know? Learn how to enlist the help of team members to improve the overall experience and tap into their useful skills. Tired of front-line team members asking you the same questions all the time? Check out today's video to help build autonomy and ownership while creating a library of training materials. Want to minimize theft and boost guest experience in your amusement park or FEC? Find out how in today’s Did You Know video. Following last week’s blog about fraud prevention, did you know you can minimize team member theft and improve your guest experience by gathering guest contact information on refund receipts? Learn how in our latest Did You Know video. Have a unique message you want to give guests to your facility? Have you ever thought about using Receipt Text to do so? Learn how to use customized receipt text to further delight your guests by delivering a more personalized interaction in today's Did You Know? video. Do you prefer self-led video tutorials vs. reading How To documentation? If so, today's Did You Know? Video has you in mind! 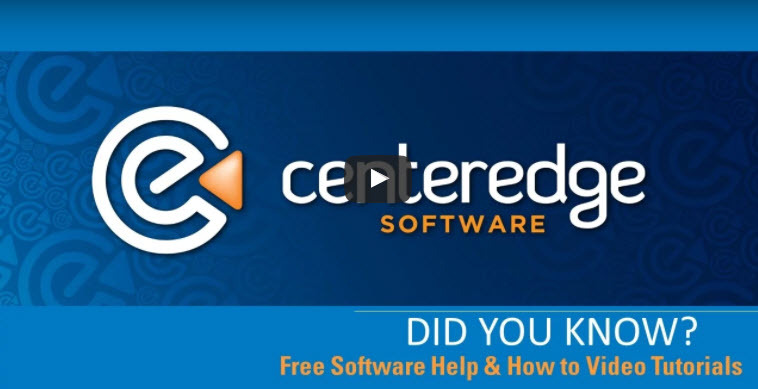 Watch Sandra Welch, CenterEdge's own Training and Personal Development Manager, as she discusses new video software training tools you have at your disposal! Ready to use your software to take your marketing campaigns to the next level? Learn how in today’s Did You Know video. Topics: Marketing, Did You Know? Start the year off right setting meaningful goals for event sales (or anything you'd like to increase, really). Did you know there are several reports that can help get you started? Check out today's video to learn more. Would you like to save time issuing cards or wrist bands for your group events? Did you know that you could also load cards with multiple items as well? Watch today's Did You Know video to learn the process and operational practices that will get you ready for groups in a flash. 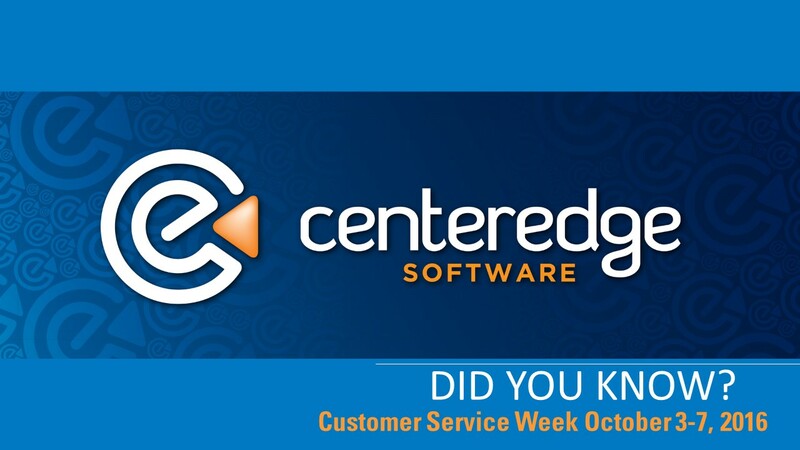 Did you know that Customer Service Week is October 3-7, 2016? Watch today's video to learn how you can celebrate with your staff to make a difference for your team members and your guests. Did you know that setting your CenterEdge Software to regularly back up its database is an easy process that will give you incredible peace of mind? It will also minimize the risks associated with lost data and operational downtime. Check out our video to see just how important a backup process can be to the success of your business. Did You Know: Are You Getting the Most from Your CenterEdge Service Agreement? Did you know that your CenterEdge Software Service Agreement offers you so much more than just technical support? Check out today's Did You Know? 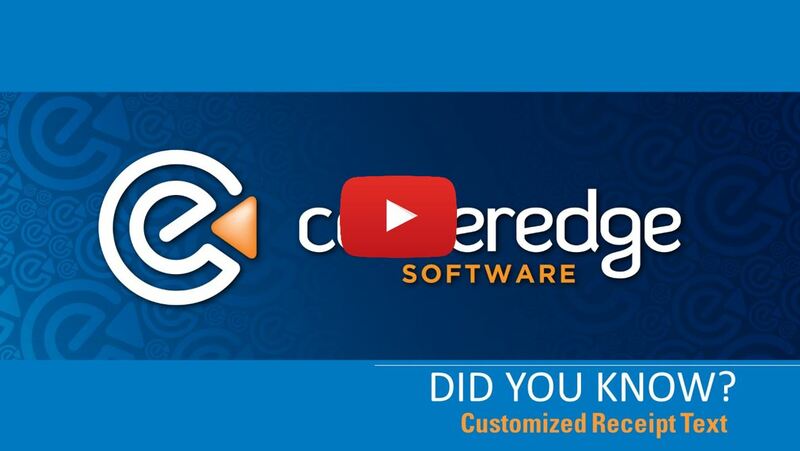 video to see if you're maximizing the power of your CenterEdge Software relationship.